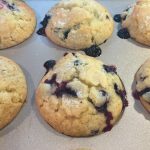 This is one of two blueberry muffin recipes that I use. 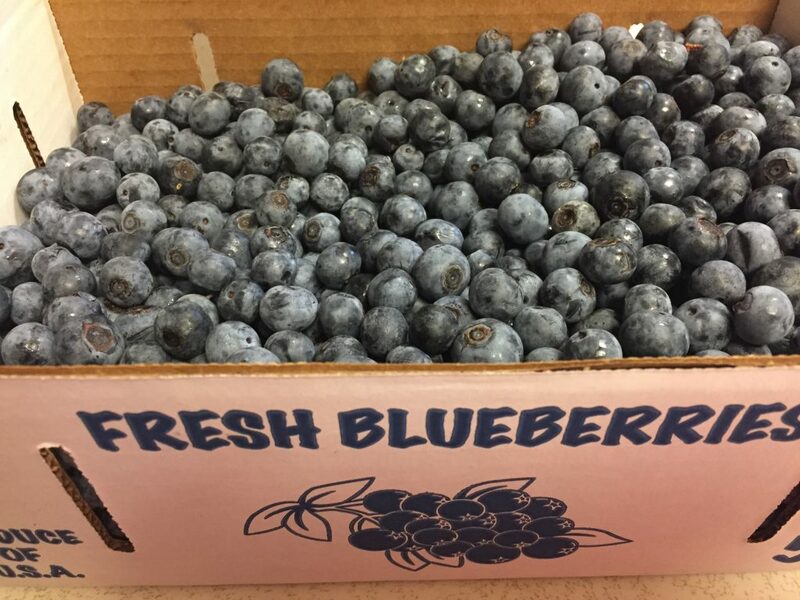 It is my favorite for fresh berries! Ethan and I were going to pick blueberries for the first time two weeks ago but we picked a hot day when the bushes were picked over. So we purchased already an already picked gallon from a sweet girl and her grandmother instead. I knew I wanted to make this recipe right away! 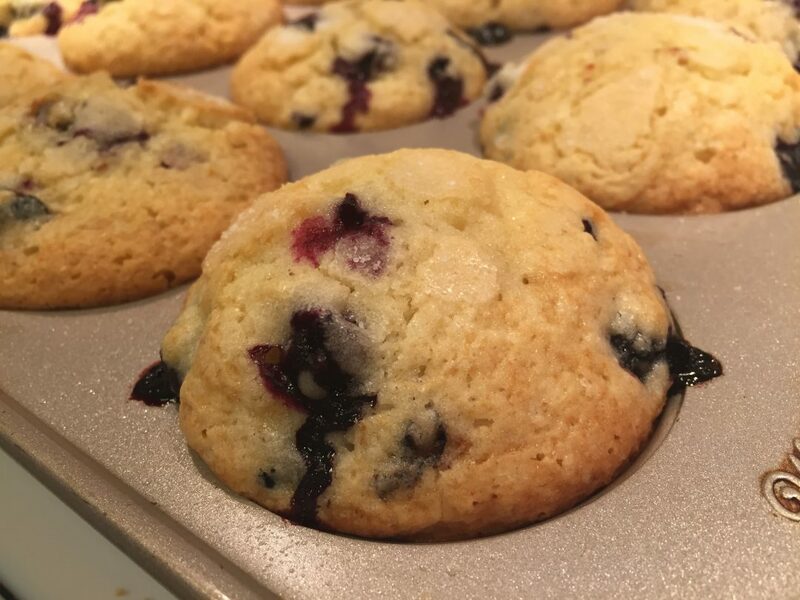 It takes two full cups of fresh blueberries for only 12 muffins. So good! All pretty standard baking ingredients once you have the blueberries! 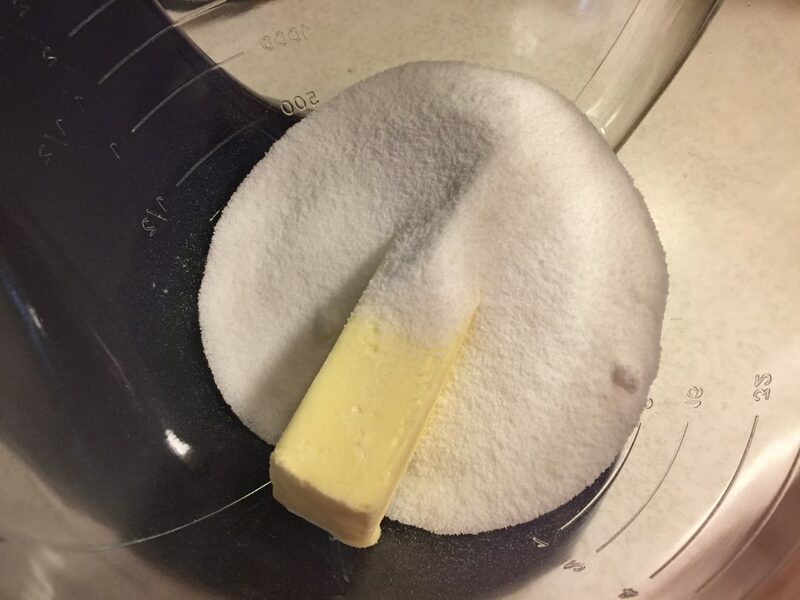 Start off with the butter and the 1 1/4 c. sugar in the mixer. Cream them together until light and fluffy. Add eggs, one at a time. 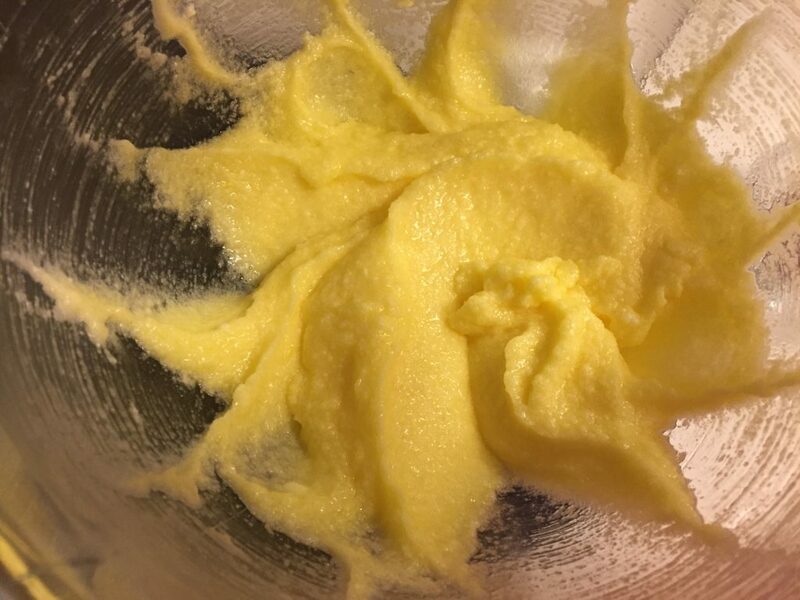 Mix after adding each egg. Add vanilla and mix. Now sift the flour, salt and baking powder together into a separate bowl. Add the flour mixture and the milk alternating the two. A little bit of milk. A little bit of flour. Until they both are gone. 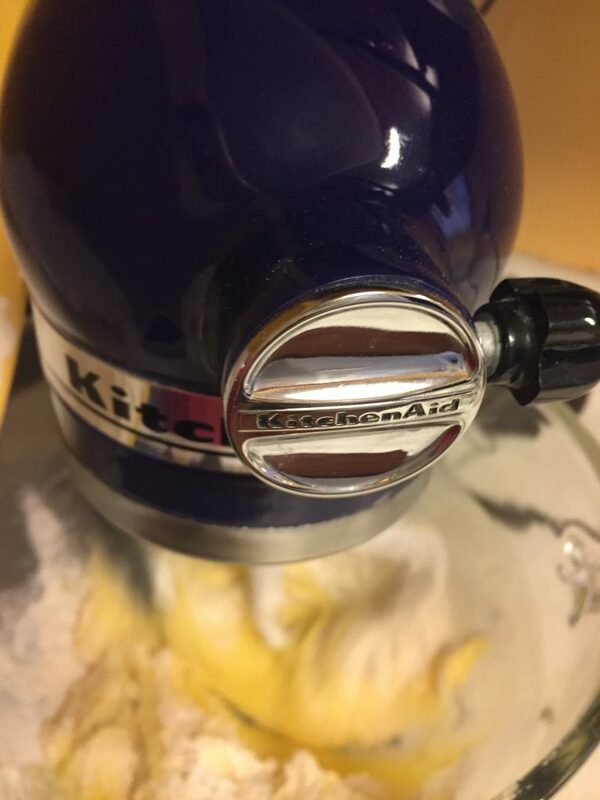 If you use a stand mixer, you can pour them in from both sides at once if you are careful! All that is left are the blueberries! The original instructions say to crush 1/2 c. and leave the rest whole. I usually leave all 2 c. whole but if you have really ripe ones that have burst, leave those in. They are fine here. I mix them in with a rubber spatula. This only makes 12 muffins! You will need to fill them to the top! They do not rise much at all. I think the weight of the fruit keeps them from rising too much. Also, I never ever use paper liners on these. Spray the muffin pans well and that’s it. 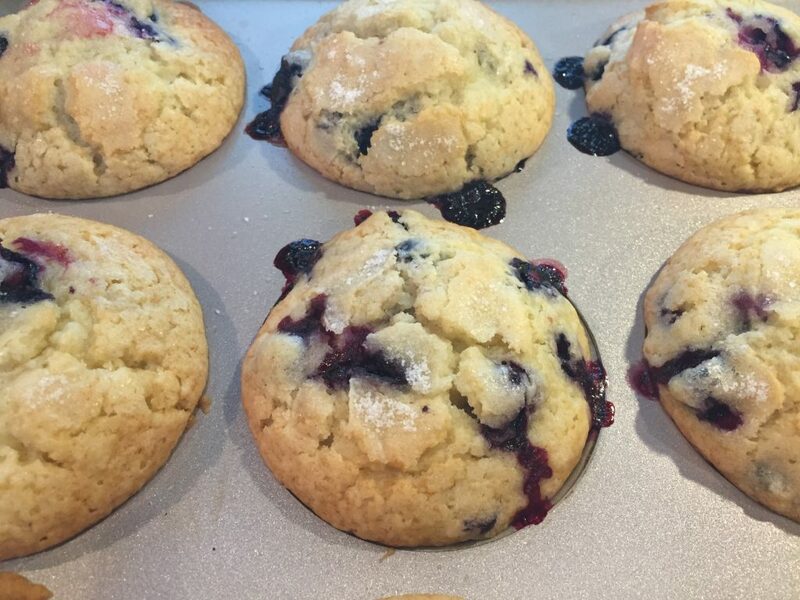 Otherwise, the blueberries stick to the papers and you end up with only 1/2 a muffin. So disappointing. Preheat the oven to 375°. Sprinkle tops with the remaining 3 tsp. of sugar. Not 3 tsp. per muffin! Just a little sprinkle of sugar on each. You don’t even really need to measure this part. Just a little pinch. The recipe says to bake for 30-35 minutes but mine only took about 20 minutes so watch carefully! 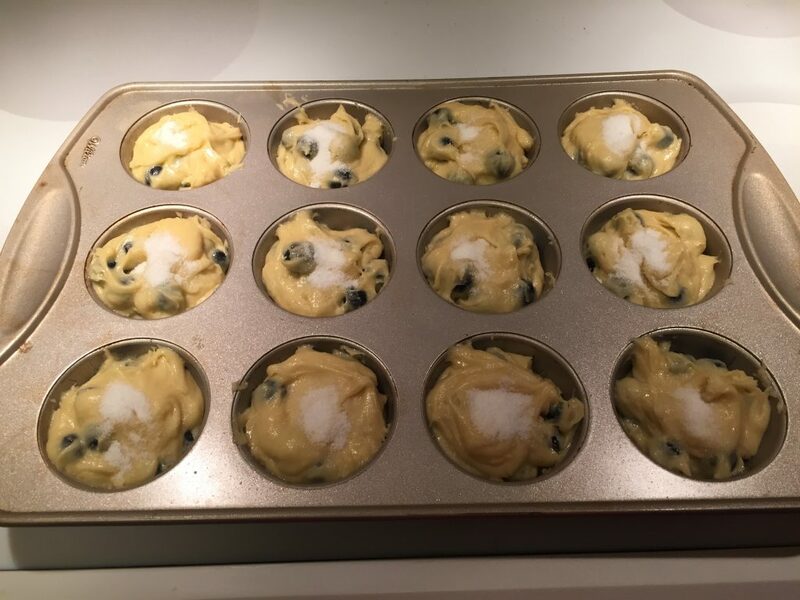 When the muffins are golden brown and the blueberries are bubbling, pull them out and test with a toothpick. A tiny bit of cake-i-ness is OK. Not raw cake though. This is a super moist muffin and if you can’t eat 12 muffins in one sitting, then please give the warm muffins away if possible. Or let them sit uncovered in your microwave overnight. Covering them, especially if they are still warm, can cause them to mold. Then you will cry. Plan accordingly. So that you can eat the 12 muffins. 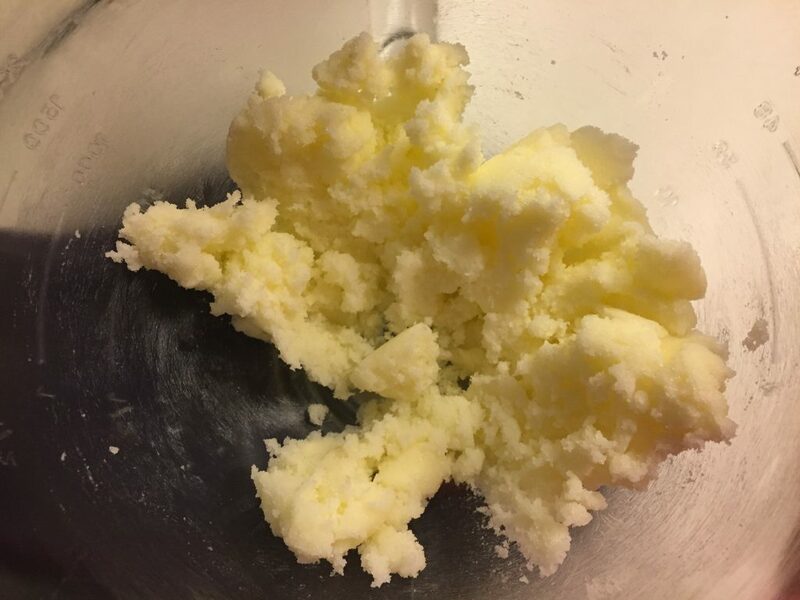 Cream the butter and 1 1/4 c. sugar together until light and fluffy. Add the eggs, one at a time, and beat after each addition. 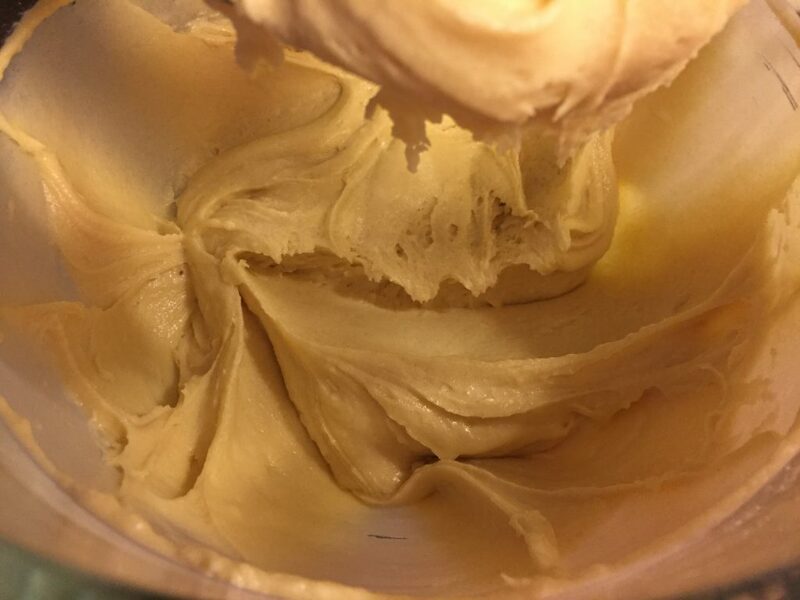 Add in the vanilla. Mix. In a separate bowl, sift together the flour, salt and baking powder. 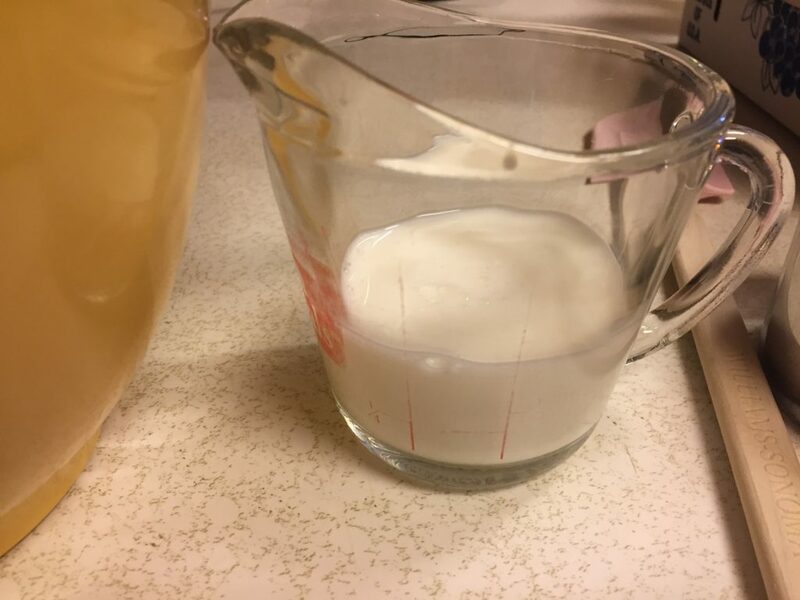 Measure the milk in a liquid measuring cup. 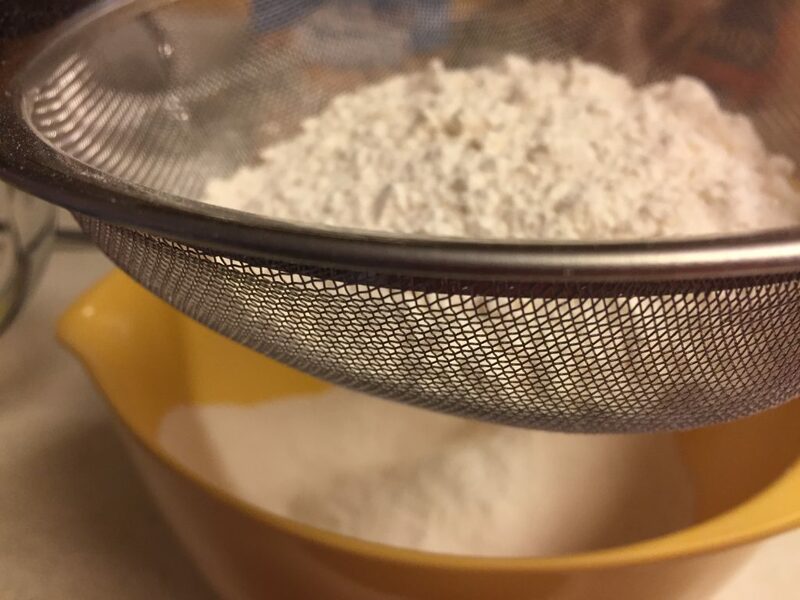 Alternate mixing in flour and milk until both are gone. 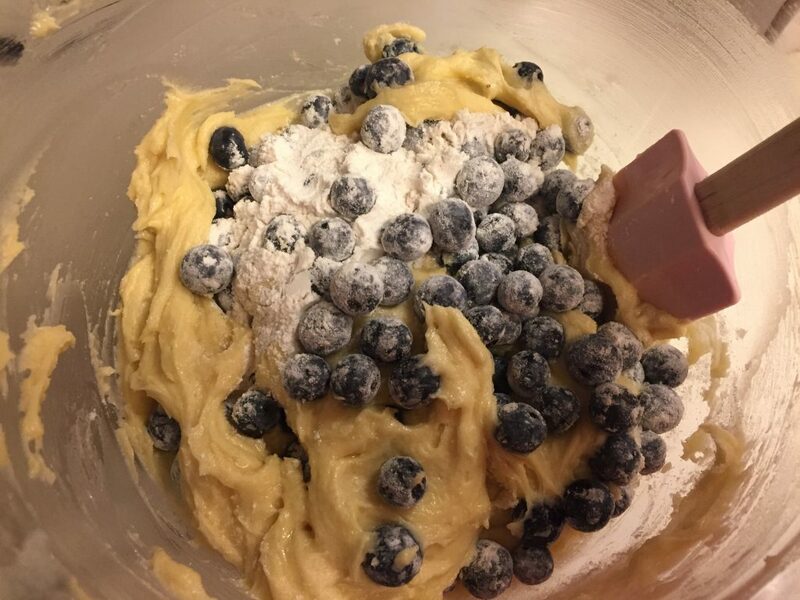 Mix in the blueberries with a rubber spatula. Spray the 12 cup muffin tin. Spoon the batter into each cup, filling it completely. Sprinkle each top with a little pinch of sugar. Preheat oven to 375°. Bake for up to 30-35 minutes, checking at the 20 minute mark for doneness. Remove from oven when tops are beginning to turn golden brown. Cool completely. Eat immediately. Store only if necessary – loosely covered or not covered.